A diverse collection spanning the colourful lifetime of the late Felix Dennis, extrovert publisher, planter of trees, poet and successful entrepreneur, is expected to attract international interest when it goes under the hammer at a three-day estate auction at his home Warwickshire village this autumn. The 2 000-lot auction will be sold jointly by Bigwood Fine Art Auctioneers in Stratford-upon-Avon and Shrewsbury-based fine art auction house Halls. Christopher Ironmonger, director of Bigwood Fine Art Auctioneers commented: "The auction will provide an opportunity for the world to appreciate the magnitude of his collection." All the proceeds from the auction will go to his Estate and the major beneficiary of his Estate is The Heart of England Forest Charity. In 1989, Dennis had a vision to create a 30,000 acre contiguous forest in the heart of England, from the ancient Forest of Arden to the Vale of Evesham. The one millionth tree was planted around 18 months ago. 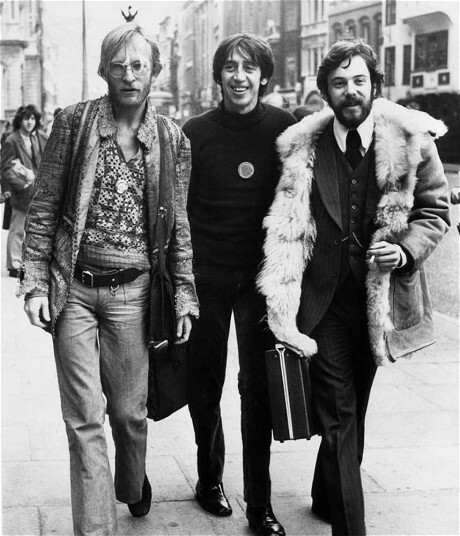 The eclectic mix of The Felix Dennis Collection reflects the fascinating life of a man who began his working life selling copies of the underground counterculture magazine Oz on London's Kings Road in 1967 and went on to become a hugely successful publishing entrepreneur with global business interests. Felix Dennis died at his home in June last year at the age of 67, after a two year battle with throat cancer. A statement announcing Felix Dennis 's death said: "Felix was a publishing legend, famed for his maverick and entrepreneurial style and, more lately, a successful and much loved poet." His collection ranges from early oak and other furniture, which graced The Old Manor, to a collection of fine oil paintings and outstanding pieces of silver, including the 1865 Ascot Trophy by Robert Garrard of London, which is valued at around £60 000. Mr Ironmonger said Dennis was a loyal supporter of modern craftsmen and would commission series of works for his homes. As a result there is an impressive range of contemporary furniture, pictures and works of art, as well as overseas art from his home in Mustique, Asian and Tribal Art from his flat in New York and Harley Davidson and Batman pin ball machines returned from his lakeside cottage in Connecticut as well as a host of fine bronzes. His love of the outdoors and his home in Warwickshire reflected by a wide array of garden ornaments including, bronze urns, stone, bronze and marble animals, to name but a few. There is also a collection of antique cannons and even a child's suit of armour. Dennis adored Robert Louis Stevenson and 'Treasure Island' accounts for a wide collection of maritime pieces which was the theme of Highfield, a massive tithe barn structure that he built in the late 1990s. The building contained a meandering swimming pool, palm trees, pirates dangling from the ceiling, Captain Hook in the rigging and an old brass lighthouse clock. One of the more unusual items is a 1987 yellow Rolls Royce Silver Spirit with the registration number 9999 FD, which Dennis reputedly bought to celebrate making his first million. The auction also includes some remaining items from his Eric Gill Collection. Andrew Beeston, senior auctioneer and valuer at Halls, predicts that it will be the UK's landmark auction of 2015. "Estate auctions of this type are few and far between and we are delighted to be involved in hosting this one outside the normal saleroom environment, which will create an extra buzz," he said. "I am looking forward to witnessing the response of people when they enter the 20,000 square foot marquee and see the room settings recreated, together with the spectacular garden statuary and military cannons which will adorn the approach and entrance, "It's particularly fitting that the auction is being held on Felix's estate." Dennis's road to business success began after writing a world exclusive for Oz with the first ever review of Led Zeppelin's self-titled debut album in 1969. He was quickly promoted to co-editor and became involved in the longest conspiracy trial in English history over the infamous "Schoolkids Oz" issue. 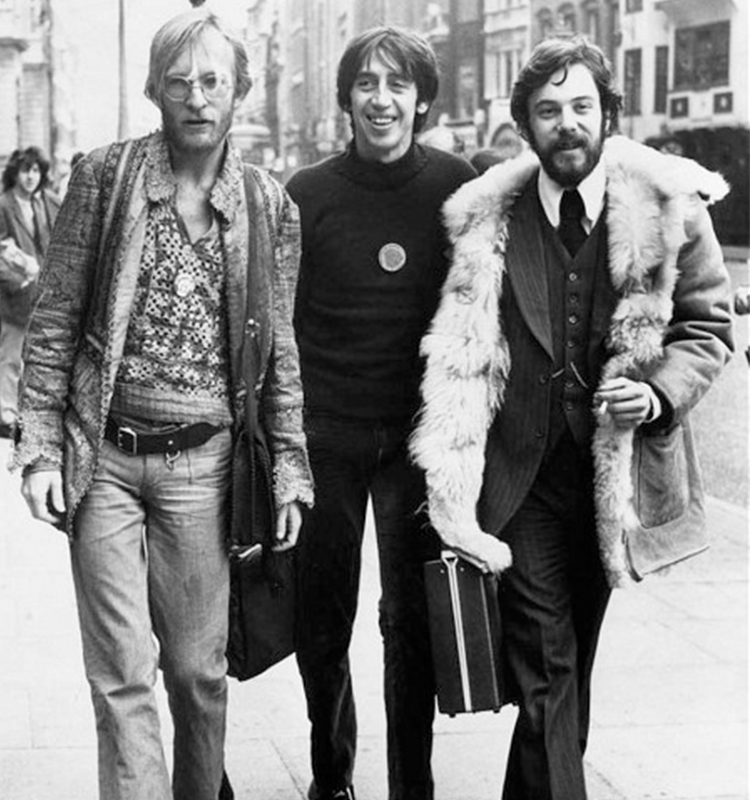 A single was recorded with pop star John Lennon to raise money for a legal defence fund, but the three men were jailed, only for the convictions to be later quashed on appeal. Felix Dennis went on to found his own magazine publishing company, which launched and purchased a series of successful titles, including Kung-Fu Monthly, Personal Computer World, MacUser, Maxim and The Week. He was also a poet, described by author Tom Wolfe as "a 21st Century Kipling". He went on to publish nine volumes of poetry and showed his sense of humour by theming his poetry tours as the 'Did I Mention The Free Wine?' Tour. He also shared some secrets of his business success with the 2006 bestseller 'How to Get Rich', the cover photograph of which is being used on the auction catalogue. Search Bigwood Fine Art Auctioneers and Halls here.